Pastor Danny Hudson is a passionate and skilled praise and worship leader, teacher, motivational speaker and singer/songwriter who devotes his life to glorifying our Lord and Saviour Jesus Christ both in word and deed. 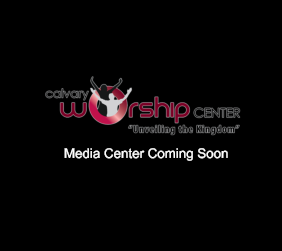 In 2014, Pastor Hudson founded Calvary Worship Center in Newnan, Georgia for worshipers and followers of Jesus Christ in his community to have a place of acceptance, encouragement, healing and inspiration. It will be healing to your body and refreshment to your bones. Honor the Lord from your wealth and from the first of all your produce; So your barns will be filled with plenty and your vats will overflow with new wine. 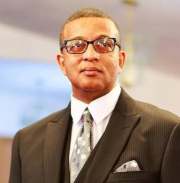 Since his service in the United States Armed Forces, Pastor Hudson has felt compelled to serve the community in a variety of ways. He believes that our life experiences mold us spiritually and lead us to our own spiritual calling. Pastor Hudson accepted his calling to humbly serve and shepherd the flock through deliverance of the word and through uplifting music. In 2016, he founded The Calvary Help Project, Inc.; a non-profit humanitarian agency designed to assist needy individuals in the Newnan, Georgia and surrounding community. In January 2017, Pastor Hudson released his debut Album and single Wash Me All Over. He states that through his experiences, he was washed by the blood of the Lamb. Each year, under the direction of Pastor Hudson, the Calvary Worship Center hosts an Annual Bowling Fundraiser to raise funds to inspire the minds of youth in Coweta County, Georgia. In addition to the Annual Bowling Fundraiser, the church hosts an Annual Christmas Banquet for its members and members of the community.